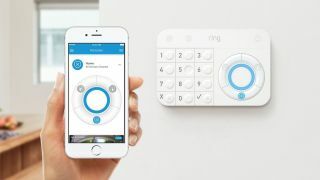 Ring already has a solid name for its video doorbells, which means there’s good cause to look forward to the inexpensive do-it-yourself home security system the company announced for pre-order today. Called the Ring Protect, it complements the company's growing range of security gadgets with a fairly conventional home security system that costs a mere $199 (about £150 / AU$254). That's the same price as the current model of its video doorbell. For that price, you’ll get the base station, a keypad, a motion detector, a range extender, and a single contact sensor you can hook up to a door or a window. If you want to purchase additional sensors, expect to pay $20 (about £15 / AU$26) for each, based on the price listed at Best Buy. Extra motion sensors sell for $30. Already got one of those fancy video doorbells? The Ring Protect will also connect with those units as well as any Ring security cameras. You'll also have to pay a subscription fee of $10 a month or $100 a year, which gets you monitoring around the clock as well as cloud storage for your video feeds. That means it won’t rob you blind, which is great since that’s probably what you were trying to avoid happening in the first place. No matter how you look at the Ring Protect, you're saving a ton of money. To receive similar monitoring from the likes of ADT, you'll have to fork out upwards of $400 a year. The Ring Protect is also less expensive than Nest's recently announced affordable home security system, which costs $499 (about £370 / AU$620) at the minimum. Pre-orders begin today on Ring’s site as well as on Best Buy and Home Depot. If you're not so keen on pre-orders, you can buy them at the latter two retail stores in person sometime within the next two months. At the moment, Home Depot is reporting an expected arrival date of November 7 - November 10.